Morrisons Rogue Wilderness has come up with a new exciting trip for you to experience the trail, but still stay cool in the summer heat: A hike and raft combo adventure! Most days will begin on the Rogue River Trail when the weather is cool and breezy. As the day heats up, your guides will pick you up from the trail and get you geared up for an afternoon on the rafts with sunshine and whitewater – maybe even a soak in a turquoise side creek! One full day of your trip will be dedicated to a side hike with lunch on the trail, followed by a float down an ancient volcanic canyon with the best whitewater on the Rogue! 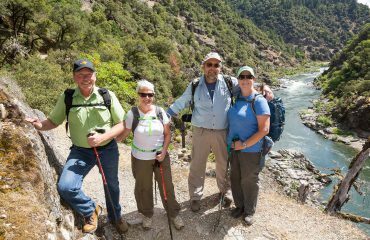 This trip aims to touch the best of the trail, best of the whitewater, and the best adventure the Rogue River canyon has to offer! Car shuttles are available. Our hiking trips begin at Grave Creek trailhead about 30 miles west of the town of Grants Pass. The elevation at the trailhead is 689 feet and at Foster Bar, the elevation is 474. Generally, you are walking downhill. The trip takes 4 days and 3 nights. The Paradise Hike is a special version of this trip that includes a night a Black Bar Lodge in addition to Paradise Lodge. As a bonus, you will float the Rogue River’s most exciting rapid: Blossom Bar. This is for people who have gone on our hikes and want to explore another itinerary on this famous trail, those that would like to try their hand a Blossom Bar Rapid, and those that want a few more miles on the trail (4 more miles total). All about the Summer Hiking & Rafting Trip Series. Age: Adults and Youth age 6-11. 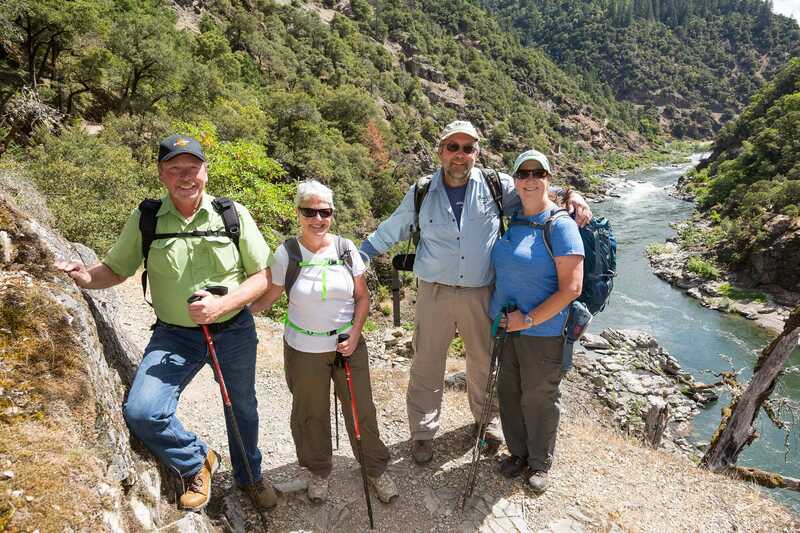 Start: 5:45 pm for trip orientation at Morrisons Rogue River Lodge the night before your hiking/rafting trip starts. Four days/three nights, staying in a different wilderness lodge each night. 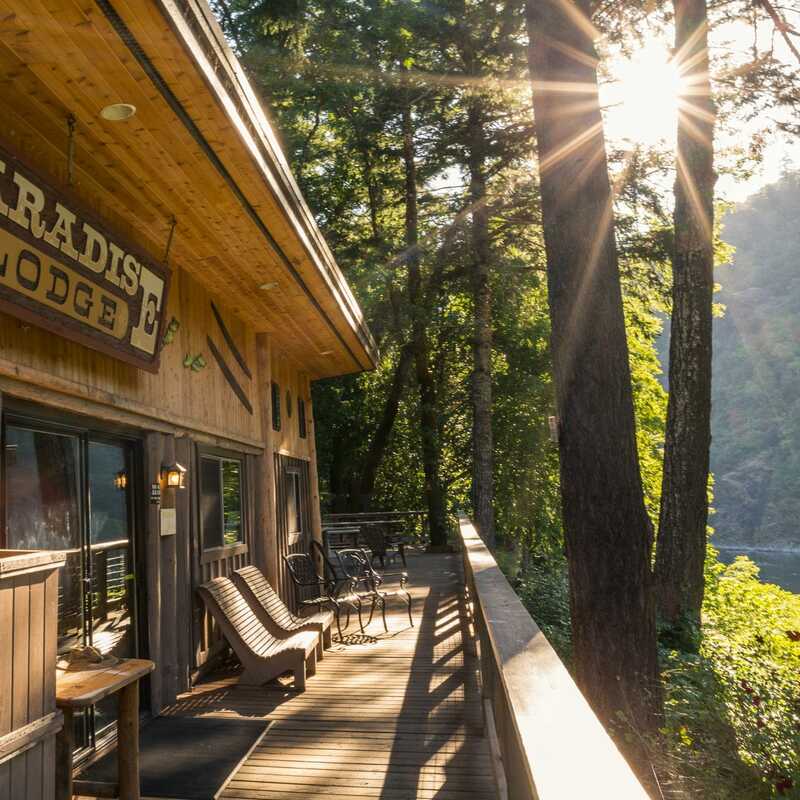 Paradise Trip: a night a Black Bar Lodge and two nights at Paradise Lodge. * Please inquire about our discounted rates for lodging at Morrisons Rogue River Lodge before and after your trip. 5:30 pm – You will meet for trip orientation. 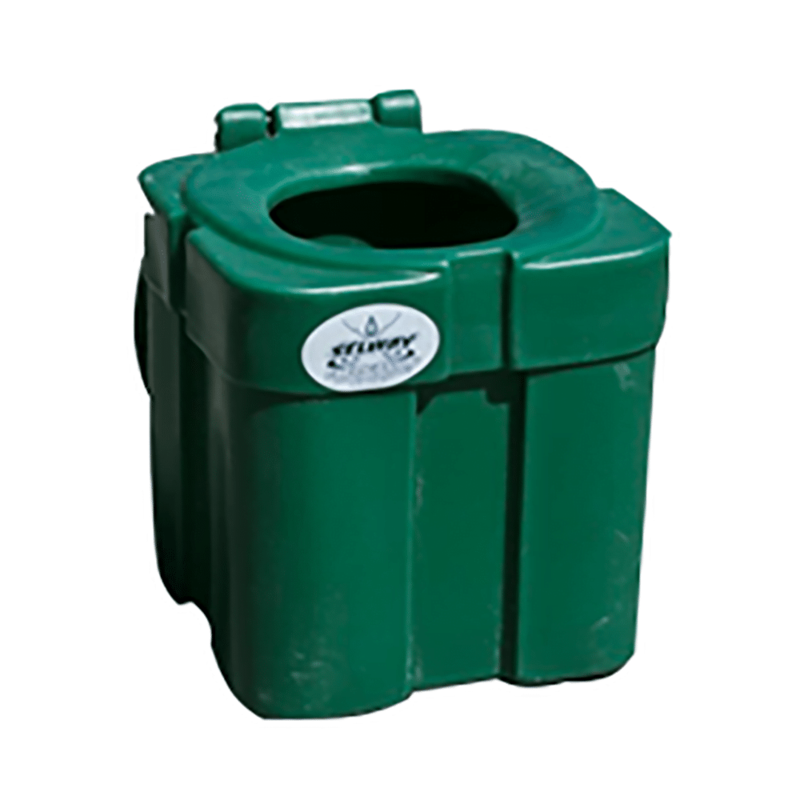 You receive your bags to pack your overnight gear in. Meet in front of Morrisons Lodge Front office (8500 Galice Road, Merlin, Oregon). 7:00 am – If you would like to join us for our breakfast buffet please go to the front desk after orientation to let them know. 8:30 am – Meet at Morrisons Lodge to finalize packing begin orientation. 9:30 am – Final Trail Orientation, hit the trail for 3.5 miles. 1:00 pm – On the river for lots of whitewater. Evening appetizers and dinner at Black Bar lodge. The generator is turned off at 10:00 pm. 8:30 am – Hit the trail! 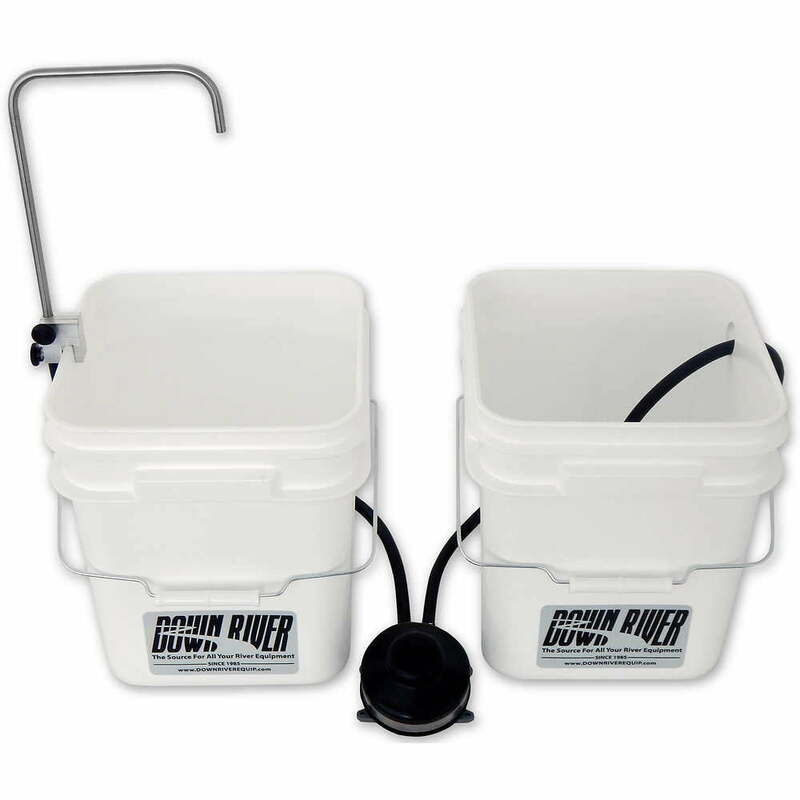 1:00 pm – To the river! 5:00 pm – Arrive at Marial Lodge. 6:00 pm – Dinner and fun evening. The generator is on all night. 8:30 am – Head up Mule Creek Canyon for a day in a shady moss covered canyon. 12:00 pm – Lunch on the trail. 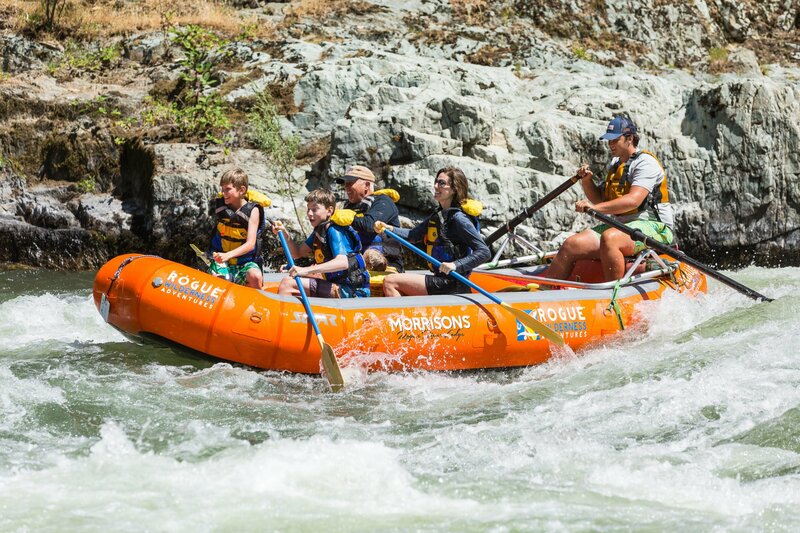 2:00 pm – To the river for the best rapids on the Rogue (optional). 5:00 pm – Enjoy the evening at Paradise Lodge, one of the nation’s most remote lodges. Small hikes available, read a book in a hammock, take a nap. Swim in the creek. 10:30 am – On the rafts. 2:00 pm – Finish at the Foster Bar boat ramp. Foster Bar is 26 miles from the city of Gold Beach and the Pacific Ocean. Morrisons Rogue Wilderness Adventures vans will pick you up and bring you back to our offices. However, since you’re so close to the ocean, you can have your car shuttled to Foster Bar for an additional $115, and then visit the Redwoods or other parts of the Oregon Coast. Typical drive time back to Morrisons Lodge is 2.5 hours with arrival at about 4 pm. 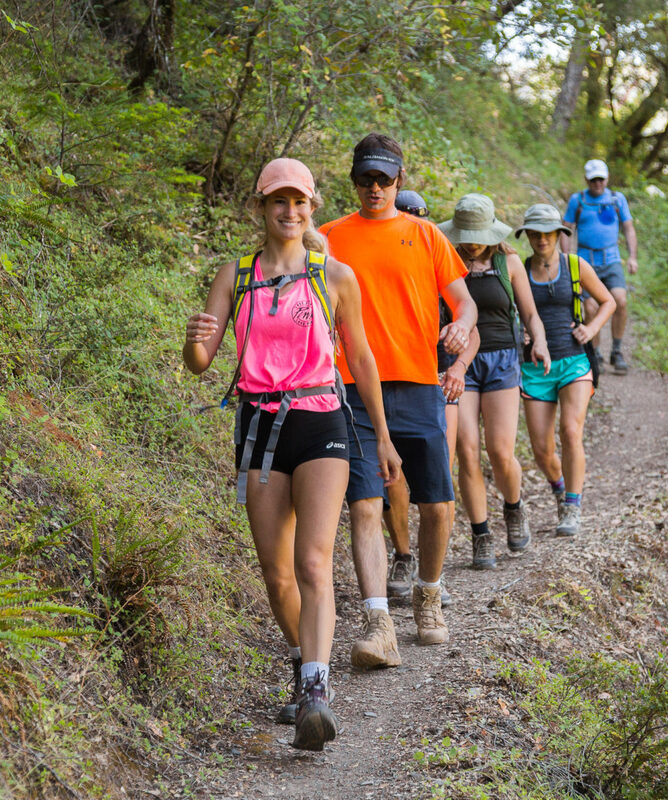 Summer-Hike-Series Sign up for our summer hike trips down the Rogue River!